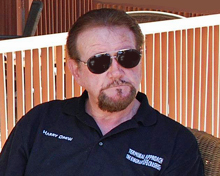 The Kingman UFO Tour offers you the unique opportunity to tour Kingman, Arizona with local UFO researcher, author and filmmaker, Harry Drew. Get the real story of the Kingman UFO Crash, and learn the truth about the multiple UFO incidents that occurred here over the course of seven days in May 1953. Our informative, educational and fun Kingman UFO Tours reveal new evidence based on Drew's many years of research and field-work; and the tours include previously unknown details about the Kingman UFO recovery process, the crafts' crew members, the highways taken, and much more. 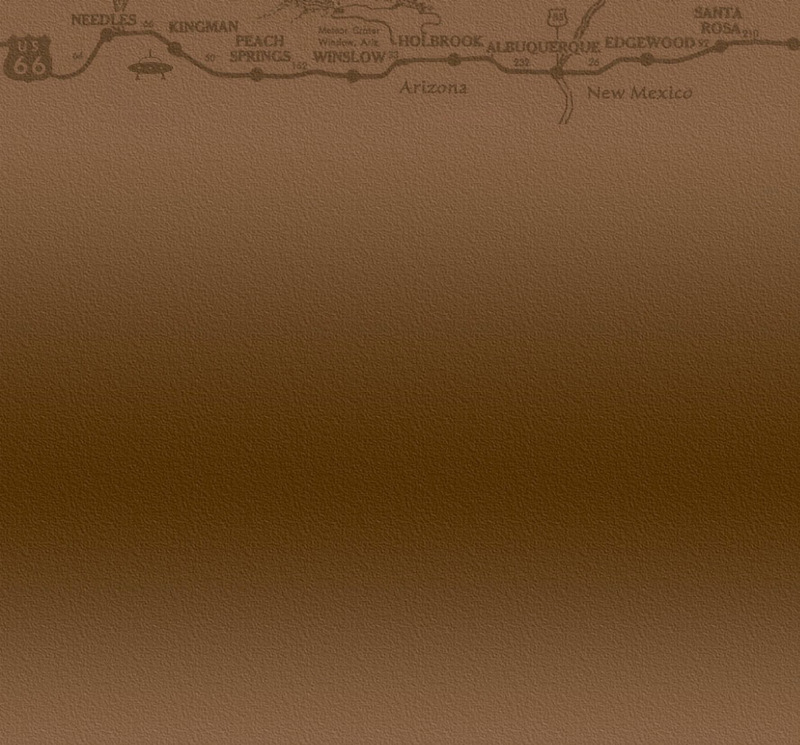 Enjoy our private Kingman UFO Tours with your own, personal, top UFO Researcher!  Optional "Kingman Ghost Tour"
This DVD film includes compelling new evidence previously unknown about the Kingman, Arizona UFO events of 1953. The Kingman UFO Crash of 1953 has been clouded by what seems to be an organized diversionary effort to keep the truth from being revealed. Claims about the date of the crash, the recovery process, the crafts' crew members, the highways taken, and underground bases, have been distorted and manipulated to keep the public from knowing what really happened at Kingman, Arizona in May 1953. 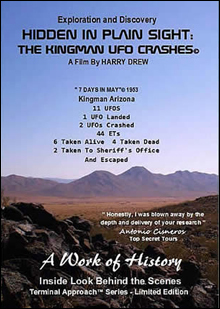 Harry Drew's research and information provided in this film sets the record straight, and it provides you with previously unknown facts about the Kingman Arizona UFO crashes of 1953. Limited Edition DVD - Order your copy today! "My tour group hung on every word, and we were amazed at actually being able to visit one of the crash sites. Thank you, Harry, for a fantastic tour!" "Your research and knowledge is mind blowing on the Kingman UFO events." "Drew's exemplary work on the Kingman UFO crash is an in-depth and inspiring investigation that covers many years. His attention to detail is remarkable and his evidence cannot be disputed." "The Best there is - Brilliant!"